This could be a defensive play in reaction to the tariff fiasco. 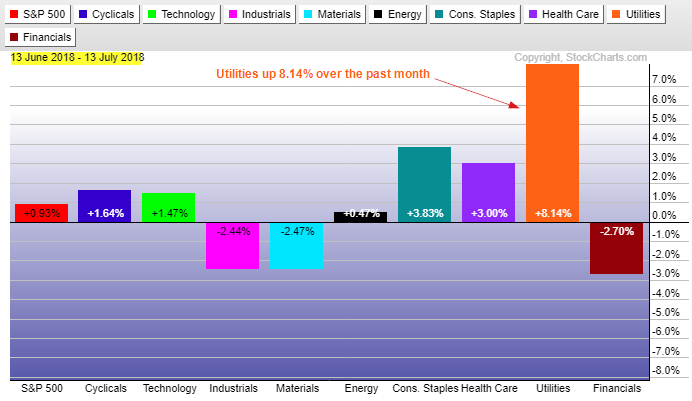 Notice the drop in the tariff sensitive sectors of materials and industrials. This entry was posted in U.S. Indexes on July 15, 2018 by Trader.